Platinum Heritage is Awarded "Start-up Business of The Year"
Becoming the first Tourism in the UAE to receive an award during the coveted business award, Platinum Heritage shows that appreciation for culture and heritage in Dubai is in strong demand. Privately held luxury desert safari provider Platinum Heritage has been awarded as the “Start-up Business of the Year” at the prestigious 2013 Gulf Capital SMEinfo Awards Programme which recognizes success, growth & innovation in business. Adam McEwan, Managing Director of Platinum Heritage said “To win this award, Platinum Heritage had to hold off challenges from an incredible list of innovative businesses from a range of industry sectors. This ultra-competitive category included companies who have become household names in such a short time. I feel what set us apart was our passion to provide our guests with a positive and long lasting memory about the rich, engaging and hospitable culture of the United Arab Emirates”. The city of Dubai is eagerly anticipating the announcement of which city will host Expo 2020. According to Mr. McEwan, “innovation and entrepreneurship is embraced in Dubai like no other city in the world. We feel that our contribution to protect and showcase Dubai’s environment and culture through an array of world firsts is aligned with the message that Dubai wants to share with the world leading up to 2020 and beyond”. 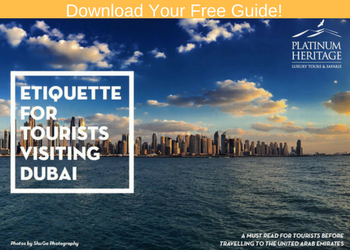 Platinum Heritage has quickly become a “must-do” activity in Dubai. 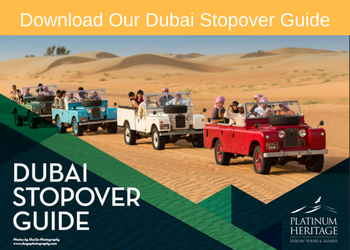 Ranked as the #1 activity in Dubai on TripAdvisor, the world’s most popular travel website, Platinum Heritage exhibits expertise in not only luxury but culture, wildlife and history. Their specialized safaris were created for discerning travelers who expect the highest level of luxury, service, and attention to detail. 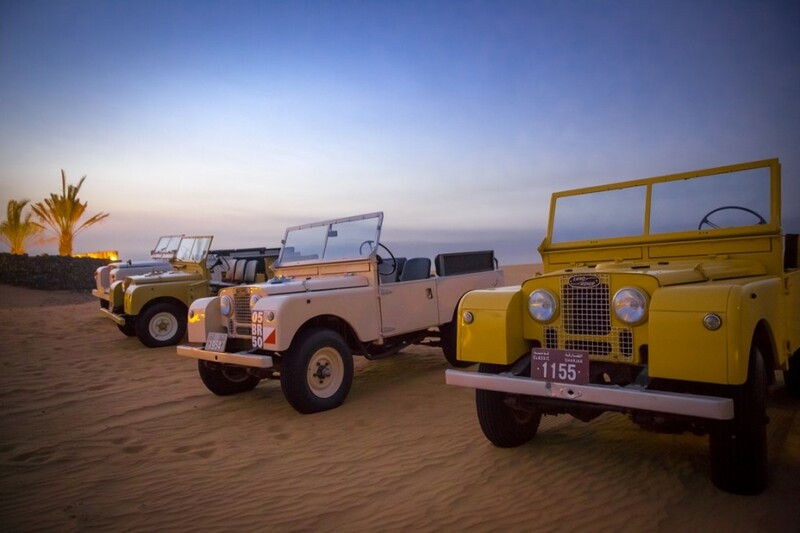 They bring history comes to life with iconic 1950’s Land Rover safaris’, breakfast with local Bedouins, interactive falconry and delicious Emirati entertainment and cuisine.